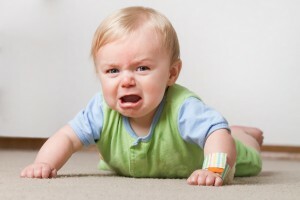 Tantrums are extremely common in toddlers and pre-schoolers. They are how young children deal with difficult feelings. It helps to avoid situations that trigger your child’s tantrums, and to have a plan for managing them. There might not be a 100% success guarantee preventing tantrums by using the strategies below but they can help you encourage good behaviour in your child and promote a more harmonious family life. Using these from an early age on your child will be more likely to learn how to deal with overwhelming emotions in a productive way. Be consistent: Establish a daily routine so that your child knows what to expect. Stick to the routine as much as possible, including nap time and bedtime. It’s also important to set reasonable limits and follow them consistently. Plan ahead: If you need to run errands, go when your child isn’t likely to be hungry or tired. If you’re expecting to wait in line, pack a small toy or snack to occupy your child. Encourage your child to use words: Young children understand many more words than they’re able to express. If your child isn’t yet speaking — or speaking clearly — you might teach him or her sign language for words such as “I want,” “more,” “drink,” “hurt” and “tired.” The more easily your child can communicate with you, the less likely you are to struggle with tantrums. As your child gets older, help him or her put feelings into words. Let your child make choices: To give your toddler a sense of control, let him or her make appropriate choices. “Would you like to wear your red shirt or your blue shirt?” “Would you like to eat strawberries or bananas?” “Would you like to read a book or build a tower with your blocks?” Then compliment your child on his or her choices. Praise good behaviour: Offer extra attention when your child behaves well. Give your child a hug or tell your child how proud you are when he or she shares toys, follows directions, and so on. Use distraction to change your child’s focus: If you sense frustration brewing, try to distract your child. Suggest a new activity or change location. Avoid situations likely to trigger tantrums: If your child begs for toys or treats when you shop, steer clear of “temptation islands” full of eye-level goodies. If your toddler acts up in restaurants, make reservations so that you won’t have to wait — or choose restaurants that offer quick service. If your child does have a tantrum please keep in mind that most children don’t throw a tantrum just to be naughty or manipulative – rather, the screaming is a symptom of the child’s anger and frustration when they don’t have the vocabulary to explain what’s really wrong with them. Therefore, staying calm and learning to identify what’s really bothering your child will help you to handle the situation quickly and effectively. Remain calm: Don’t throw a tantrum yourself. Children need a calming influence. If you can’t provide that you can’t expect them to calm down. Take a few deep breaths and wait at least a few seconds before deciding on a response. Remember that your child’s tantrum is NOT necessarily a way to “get his way”, but could be the result of frustration, lack of needed attention from you, or even a physical problem, like low blood sugar, pain or digestive problems. The lack of a place to nap is a common cause of tantrums (ever notice how many kids you see having them around 3pm in stores! It is the time of afternoon when blood sugar drops after lunch and a small snack is often needed.) Schedule activities around your child’s needs. Having a set schedule with nap time included is greatly recommended. Offer your child a choice of coping strategies: For example, your son wants ice cream, but it’s too close to dinner. Say: “Johnny, you’re really getting upset now. Calm down or you’ll have to go to your room.” You have given him a choice – either control himself or, if he can’t, retreat to a place where he won’t influence others. If he makes the right choice (to calm down), remember to compliment him: “You asked for ice cream and I said no. I want to thank you for taking no for an answer.” Conversely, have consequences and enforce them if he chooses to get upset. Guide him to his room and firmly insist that he remain there until he calms down, for example. This is easier with a two-year-old than with an eight-year-old, so the younger you begin the learning process the better. Stem your own rising frustration level: Tantrums can raise blood pressure and stress levels in parents as well as children. If you really can’t handle a tantrum, make sure the child will be safe and spend a few moments away from him or her. A short break may have a calming effect for both of you. Get your spouse or other responsible person to look after the child while you calm down. Do not reward the tantrum: If the parents give in, tantrums become a launching point for the child—a way to deal with the world socially. If you allow yourself to be held hostage by tantrums, your child will continue to use them long past the age when they would otherwise cease. Even if the child is throwing a fit because he hasn’t received enough attention, don’t reward the behaviour now. Instead, resolve to make long-term changes to avoid future outbursts. Take steps to prevent injury: Some children can become quite animated during a tantrum. If this occurs, remove dangerous objects from the child’s path or steer the child away from danger. Explain to the child that you will talk to him/her when he/she calms down: This will help your child to understand that you are ignoring her because her behaviour is unacceptable, not because you don’t care about her. When the child calms down, fulfil your part of the bargain by discussing the tantrum and the child’s concerns. Avoid trying to reason with any child who is in the middle of a full-blown tantrum, especially in a public place: Give him or her time to vent. Instead, give the child phrases to express the emotions that they are experiencing. Say phrases like, “You must be really tired after such a long day,” or, “You must feel frustrated that you can’t have what you want right now.” This not only will help the child verbalize this later, but shows empathy for their feelings without having to give in. Discuss the behaviour with your child once the tantrum has ended: While there’s no use trying to reason with a child in the midst of a tantrum, you both can learn a lot by discussing the incident afterwards. Explain that the behaviour is unacceptable, but also make sure your child understands that you love him or her regardless. Try to discover the cause of the tantrum if you haven’t already, and take the opportunity to discuss better alternatives with your child. Do not discipline physically e.g. by smacking your child: All it does is to convey three unhelpful messages to your child: 1- You are out of control. 2- Hitting is an acceptable behaviour. 3- Feelings should be suppressed and not vented (a toddler is expressing feelings in the only way they are able). Dealing with tantrums can be enormously draining and stressful for parents. Don’t be disheartened and please don’t judge yourself as a parent based on how many tantrums your child has. Remember that all children have tantrums. Instead, focus on how you respond. Even then, give yourself plenty of leeway to be human and make mistakes. “Temper Tantrums”, (Raising Children Network – Australian Parenting Website), Available: http://raisingchildren.net.au/articles/temper_tantrums.html (Accessed: 2014, June 06). “Temper Tantrums in Toddlers: How to Keep the Peace” (Mayo Clinic), Available: http://www.mayoclinic.org/healthy-living/infant-and-toddler-health/in-depth/tantrum/art-20047845 (Accessed: 2014, May 30). “How to Handle Your Child’s Temper Tantrum”, (Wikihow), Available: http://www.wikihow.com/Handle-Your-Child’s-Temper-Tantrum (Accessed: 2014, June 06).